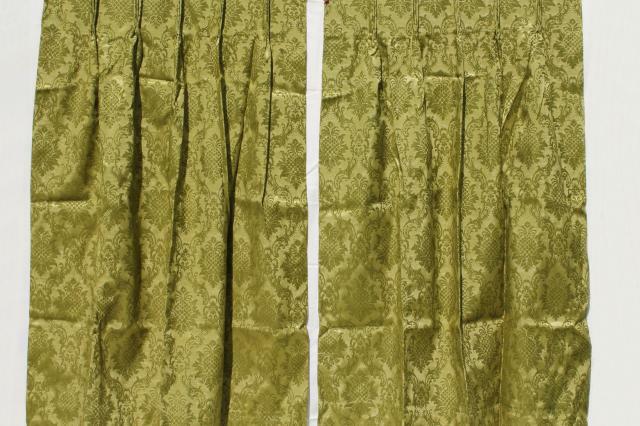 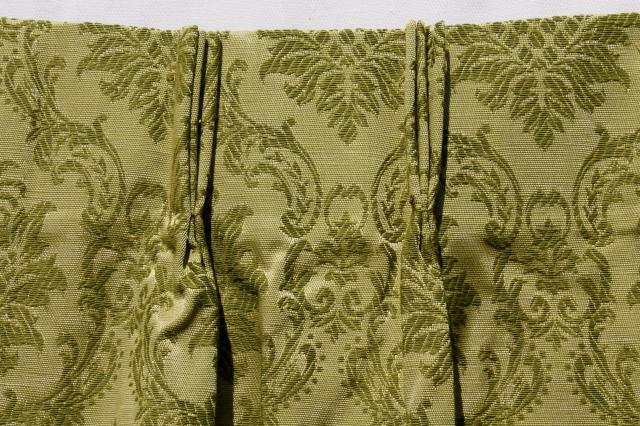 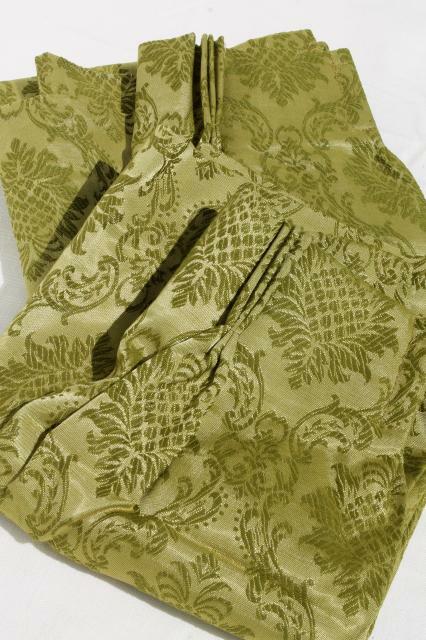 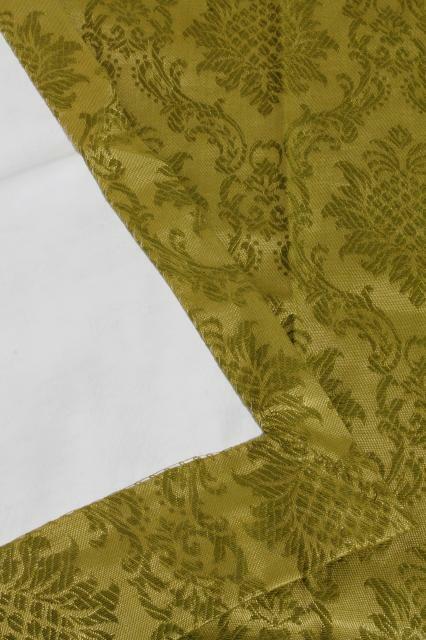 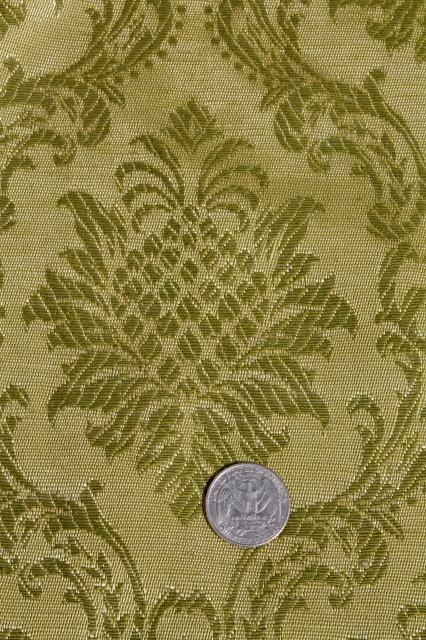 We love the retro green color of these brocade drapes. 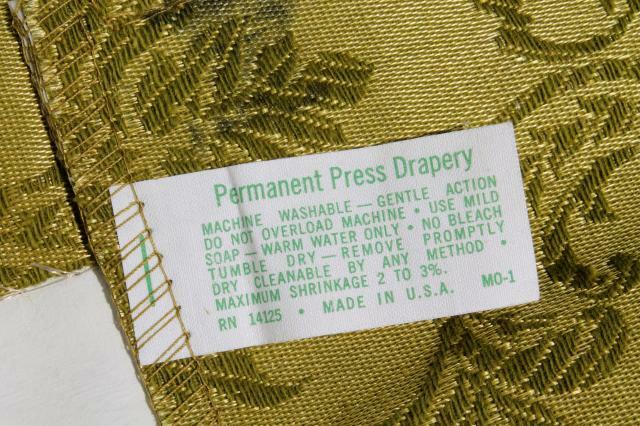 They're unlined, vinyl backed material in excellent condition, smooth heavy fabric without fading or discoloration. 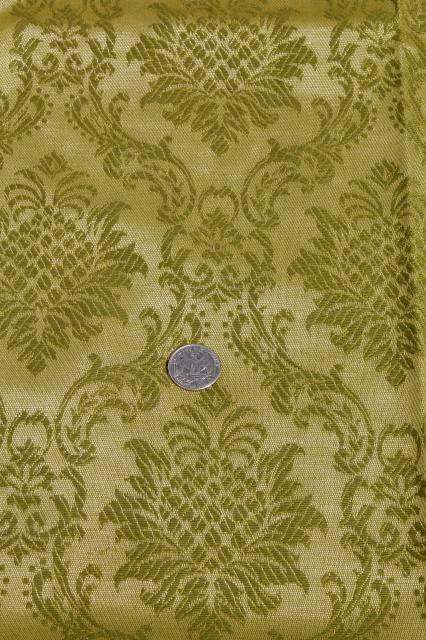 This is a set of two pinch-pleated panels, 25" wide across the top, 42" wide at the hems, 46" long.